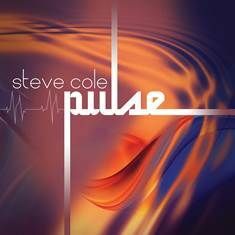 Minneapolis, Minnesota (15 July 2013): Rather apropos that saxophonist Steve Cole covered the soul classic “Going In Circles” on his forthcoming “Pulse” album, his 7th solo disc, which he produced and wrote with fellow sax player David Mann. Honest and organic are vital qualities to Cole, whose creative muse has gone full-circle in the 15 years since he burst onto the contemporary jazz scene with an award-winning debut disc that spawned a pair of #1 singles. The tenor saxman “returns to the basics” on the new 10-song set that will be released September 17th by Artistry Music. “Pulse” comes out swinging with knockout punch hooks, a muscular horn section and soul-powered grooves. In contrast to his divergent 2011 album, “Moonlight,” that placed the classically-trained Cole in a lavish orchestral setting, the new record is a bounty of R&B, soul, funk, blues, gospel and hip hop jams. Cole makes concise statements constructed of big buoyant melodies and taut rhythms. No notes are wasted as the impassioned artist rides grooves tailor-fit by Mann (section saxes, flute, keyboards, synth bass, programming), noted keyboard veteranRicky Peterson (Hammond B3), wunderkind Nicholas Cole (keyboardist, synth bass, programming), Khari Parker (drums), Paul Peterson(electric bass), Rico McFarland (guitar, lead & background vocals), Bernd Schoenhart (guitar) and Nicki Richards (background vocals).Trevor Neumann (trumpet) and Dan Levine (trombone) cement the wall of horns anchored by Steve Cole and Mann. “’Pulse’ is about finding an audience and really honoring them. I have a voice and an instrument, but my job is to entertain. It’s simple in a way: if you focus on those people right in front of you and what excites them, you win every time. My work is about moving people. If you can figure out how to do that, the rest falls into place,” said Cole about the album that is chock-a-block full of crowd pleasers and potential radio favorites. Radio listeners will get a feel of “Pulse” when the single “With You All The Way” is serviced to programmers next month. Cole describes the tune’s warm and empowering hook as a stylistic snapshot of his hallmark sound. The Chicago, Illinois native emerged in 1998 with the Brian Culbertson-produced “Stay Awhile,” which heralded the arrival of a hitmaker. On subsequent albums, Cole continued to crank out chart-topping singles with the reliability of a slugger. Live performances as a solo artist and high-profile sideman appearances with Culbertson, Boz Scaggs, Peter White, Jeff Lorber, Rick Braun and Larry Carlton helped make him a magnetic concert draw. Today, Cole tours as a headliner and for the past 10 years as a member of Sax Pack, a stellar sax trio completed byMarcus Anderson and Jeff Kashiwa. To support “Pulse,” he will lead his band out on the road for shows in the U.S. and abroad with dates booked into November. For more information, please visit www.stevecole.net.